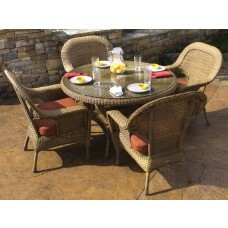 Outdoor dining offers a fast, easy way to build the memories that last a lifetime. 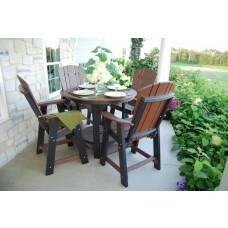 That's why we offer a full selection of outdoor dining room sets. Settle in with friends and family over a fine, unforgettable meal under the clean summer sunshine. 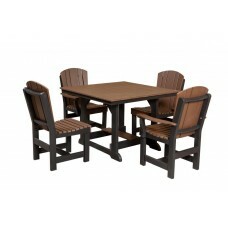 These instant outdoor dining rooms are easy to put together and are ready to withstand the elements. Shop our full selection below and take home your new dining table and chairs today. 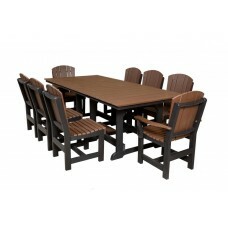 We've got dining sets suitable for both large spaces and small spaces. We have tall, bistro-style chair sets and bar sets as well as more traditional long dining tables with full arrays of dining chairs. Each of out outdoor dining sets is made out of materials like POLYWOOD or synthetic resin wicker, both of which last for many years and which take very little damage from environmental factors like rain, wind, and snow. Many of our dining tables also come with umbrella holes so that you can choose your own umbrella and add a touch of shade to your dining experience if you wish. Many of the sets come with their very own cushions, as well. 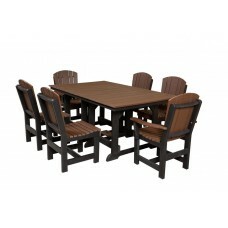 Free shipping is available, so scroll up to shop our entire selection of dining sets today.